Choosing a REALTOR® when selling your home will help alleviate stress that is typically associated with selling a home or property. 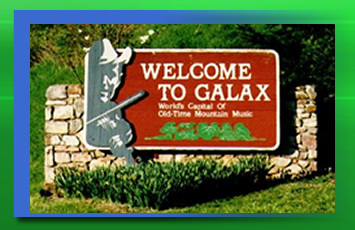 By choosing Galax Realty you will be able to focus on your move and life while we manage your home sale from the first meeting we have with you to the closing table, and beyond. We strive to do our best in order to obtain your repeat business and referrals of your friends and family. Help you to find your next home or property. We will provide you with all the information you would need such as schools, neighborhoods, local economy, zoning, local economy & market area, etc. If you are looking to sell a home or property we will prepare a comparative market analysis that will compare your home or property to those around it in order to price your home competitively. Go over our extensive plan to market your home, and discuss your input. Our marketing includes local media and online exposure of your home or property. Your home will be broadcast to as many qualified buyers as achievable. By doing this we will be able to bring maximum exposure to your home or property. Staging your home or generating curb appeal is a task that we will gladly help our clients with. Aid you in obtaining offers and assist with the negotiating in order to obtain the best deal in the most agreeable manner possible. If you are wondering what homes in your neighborhood are going for then feel free to contact us and we will go over a detailed analysis of the value of your home in order to provide you with the information you will need in order to choose the most competitive price for your home. In order to get the highest price for your home you will want to consider the value of Curb Appeal. Curb appeal is vital and can determine whether someone stops to call and make an appointment to view the home or whether they continue driving past. Also, once the curb appeal has drawn a potential home buyer into your home, you will want them to stay as long as possible. And buyers tend to stay in a home longer that has been staged.